After attending the exciting CRMC event last week, I came back to Minneapolis amazed by the amount of clients and retailers explaining their recent success with direct mail campaigns. Some saw anywhere from 6-10x the ROI in recent months. That’s almost double or triple what they’re seeing with their email marketing campaigns. 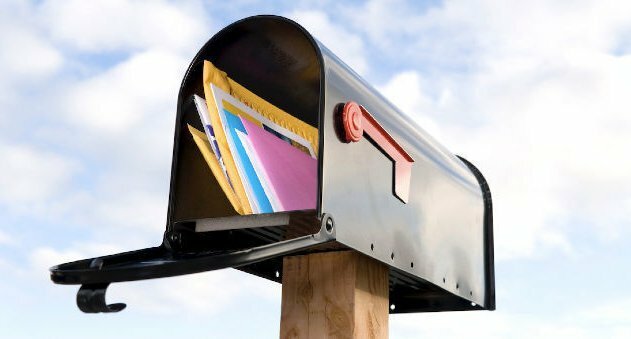 It’s interesting to see that even while the population is growing, direct mail has seen an almost 25% decrease in pieces from its heyday in 2007. This tidbit means that while your spam folder is being bombarded with offers to pluck your eyebrows, and double discount your home goods, most residents are just receiving boring bills through the old school channel of postal mail. Less competition in this channel is helping businesses that do use it standout. 2. Millennials are nostalgic. Many of the companies I spoke with said that some of their best return is coming from the younger generations, individuals that perhaps miss the days of circling their wish list of toys in the Toy R Us catalog. Picture it: A young couple that just bought their first house has every dollar of their budget allocated. Day after day, they’re spammed with dozens of email offers from countless retailers. However, as they’re looking through their mail pile of bills, they come across a thoughtful, targeted piece of collateral requesting their presence at a special event with a unique discount on products to spruce up their home, garden, closet, you name it. It’s like getting a card from grandma with $5 in it. It’s not much, but it feels special and it is helpful. 3. There’s nothing like card stock – this tangible material may be expensive, but it’s much more personal than 144 characters or a “grab your attention” subject line. Who needs to worry about open and click-through rates when the promotion is already open and visible on the postcard. And unlike email, you can’t create a spam folder with the post office. Individuals really do have to sift through every piece of direct mail. And given that so few offers come through the mail these days, they’ve almost become like golden tickets. I believe that, done right, a targeted and rich promotional campaign leveraging direct mail could prove very fruitful to many industries today. Taking advantage of new opportunities is the name of the game in marketing, however, this recent direct mail success proves that finding that nostalgic, old school nod can also exponentially pay off. Furthermore, as the white noise has shifted from the direct mail channel to email, leveraging this legacy media perhaps may prove to be more effective. That is, until everyone else catches on.